Today (Aug. 18, 2013) is what I like to call a lazy Sunday. Those are the best, yes? I woke up sore from yesterday’s hike, enjoyed some breakfast, and am blogging from the little garden patio behind my building. I love days like this when I can just relax and really take the time to enjoy everything I’m lucky to have. 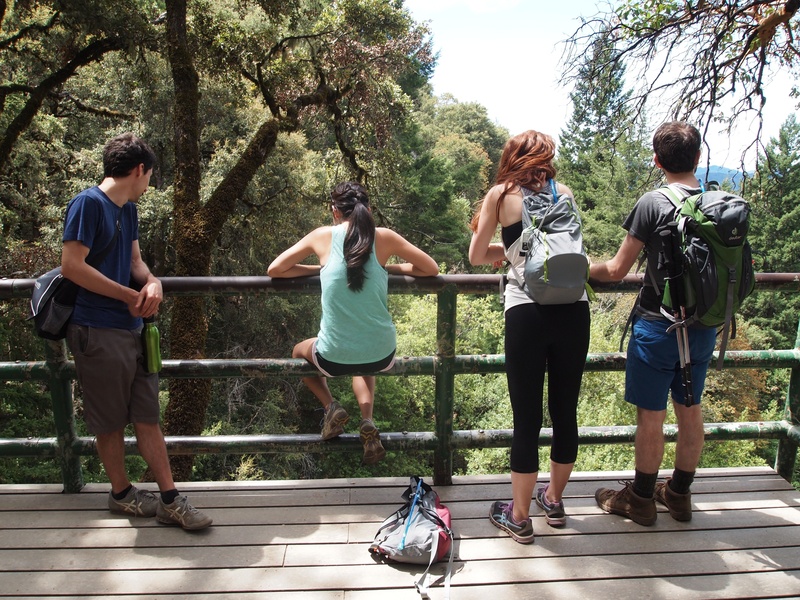 The Castle Rock State Park Loop begins in the aforementioned parking lot on the Saratoga Gap Trail, which heads west for about 3 miles at which point it doubles back to become the Ridge Trail, which goes east back to the parking lot. There are detours throughout the loop where you can explore different points of interest like the Interactive Center, Goat Rock, and Castle Rock, and there are really beautiful vistas to enjoy along the way as well. We first stopped at Castle Rock Falls, which was more like a teeny, tiny little trickle rather than falls (the result of a dry winter and the fact that we were hiking in late summer). Here, a wooden platform is placed atop a sheer rock face next to the top of the “falls.” I took a moment to hang out on the railing and watch the climbers below. Fact: Paul and Jarrett are afraid of heights; more specifically, they’re afraid of people who aren’t afraid of heights and publicly display their fearlessness. They did not enjoy my lackadaisical attitude towards the sheer drop below. Fact: Major H/T to Paul, our unofficial historian. He has a great eye and knack for capturing the hilarious, beautiful, and striking moments of our trips. Most photos I’ll post will be courtesy of Paul. Thanks, Paul! 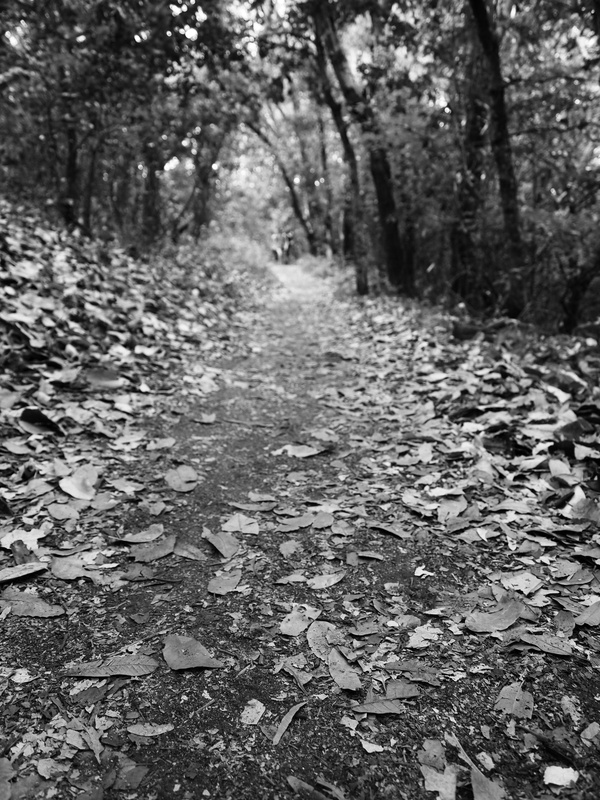 This hike had so many interesting points along the way, but I’ll just share some highlights. 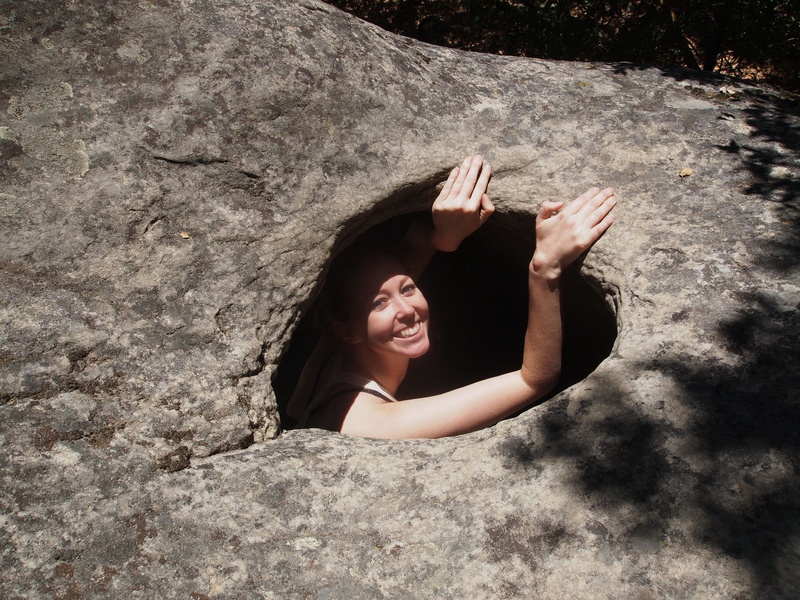 Towards the end of the loop, we found a crop of boulders that included a super cool cave we just had to explore. This involved climbing up a fallen tree trunk and through a tiny, little opening. 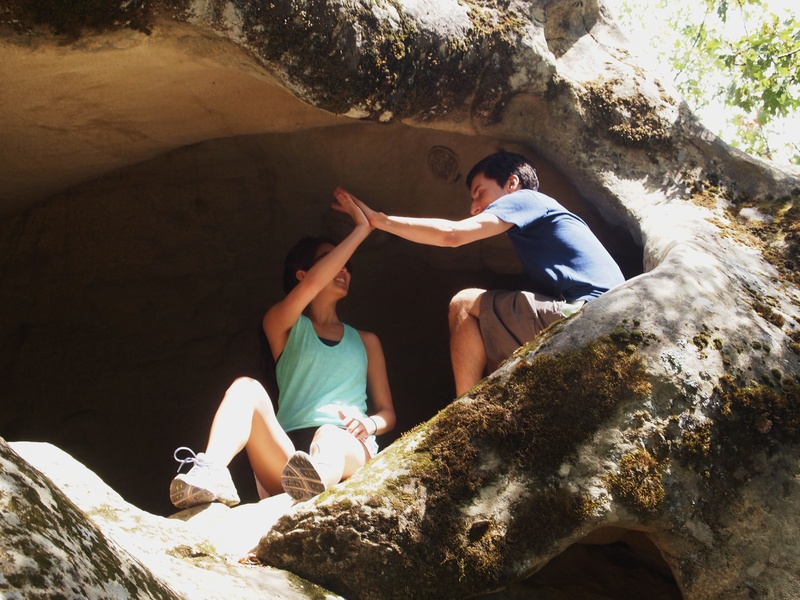 Dylan and I high-five our cave success — we made it! The beautiful Lisa climbing through the cave opening. After our cave adventures, we arrived at Castle Rock itself, watched a group of climbers trying to scale it, and saw these neat tafoni formations. 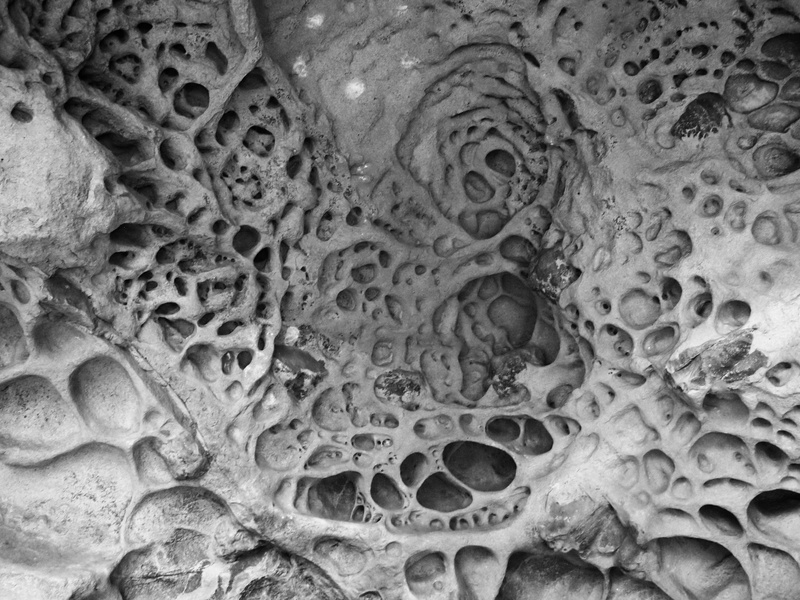 Tafoni are small, round, cave-like formations that usually occur in granular rocks like sandstone (thanks, Wikipedia). They were neat and reminded me of lung alveoli — nerd alert! Overall, the hike was a success, despite the super dry, warm weather. Next time around, we’ll probably try it in springtime for cooler weather and a better experience with the falls. Like I said, Paul has a knack for capturing the best moments! 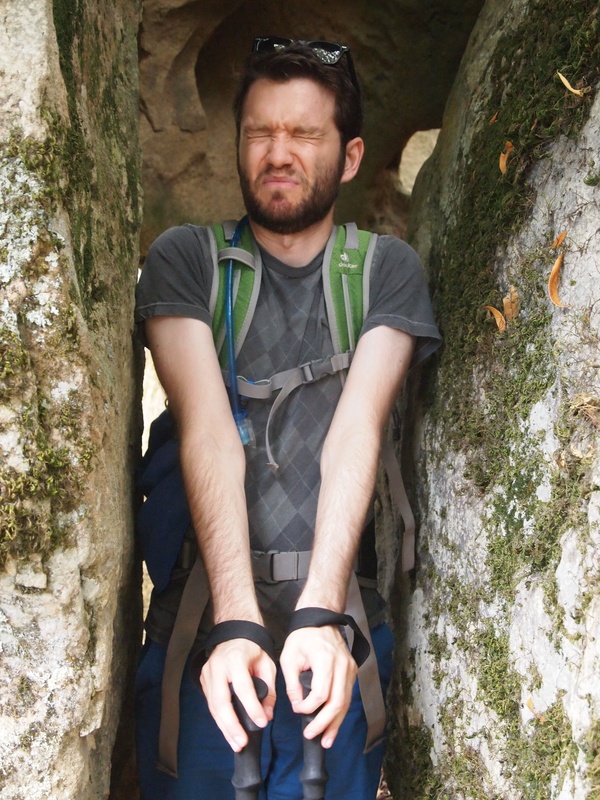 Meet Jarrett, the previously mentioned Hiking Club instigator and Inca Trail conqueror.